The middle men of E-Sports, Team Organizations, are the looking glass for the general public’s acceptance of a video-gaming profession (through proper representation) and the entrance to the scene for new enthusiasts. Team organizations are unique in that they connect both new interested parties and major team fans to new genres, games and competitions/events. These teams and their players are the link of E-Sports and arguably the core brand representatives of the scene(s) to many. To provide a professional front while also financially sustaining themselves is a large task for a limited budgeted company. This diagram shows how an introduced general public (gray circle) viewing an E-Sport event (major tournament) can become new fans/spectators of specific teams and organizations (represented by the blue portal/oval). By following these team organizations, fans are demonstrated and introduced to a variety of people, popular events of E-Sports to which can also help solidify the idea of professionalism and legitimacy of E-Sports as a popular subculture and market. As stated before, I call them the ‘middle men‘ because of their role for players, fans, major investors (company or person) and coordinating tournaments. Teams are the center point of these exterior ends of what people want, what tournaments need, how sponsors display their products (via player streams for example) and how investors can see growth and return. 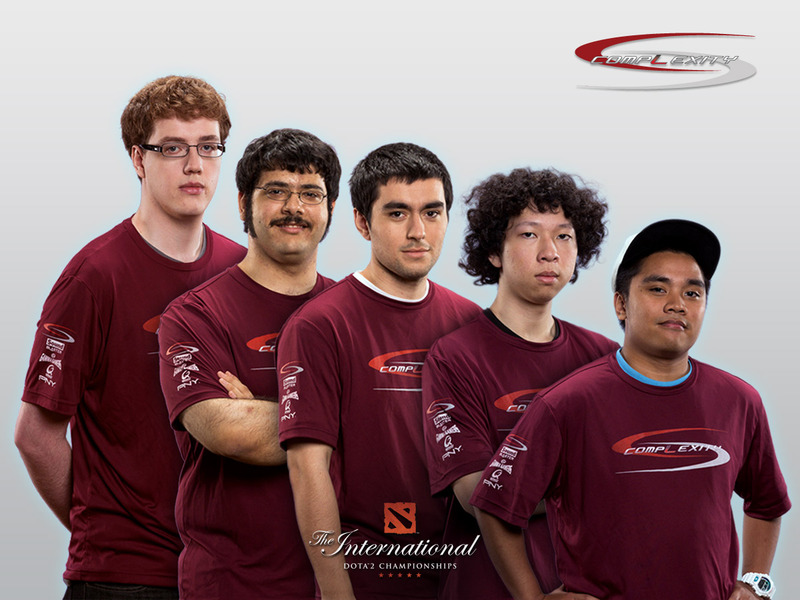 They must achieve this, appease their sponsors as well as support a number of staple players of the scene. Sadly though, the concept of “teams” in StarCraft II differ than in other E-Sports genres. With ARTS games (DotA/Dota 2, League of Legends) or even FPS games such as Counter-Strike: crews of players and brand-names are generally one of the same. Team Dynamic’s brand is its players (whether in LoL [now defunct] or Counter-Strike). When a team wins, it’s titled as Team X wins. For StarCraft II and even fighting games, we recognize more the player as winning and his individual achievements rather than listing it under an achievement the team he’s under. There’s a certain detachment when you think players and their teams within the StarCraft II scene. This dynamic relationship is perceived more of a sponsored organization supporting a player, rather than a player belonging to a set of members within that organization. Because of this, teams need to find new ways to better merge a player’s name to a brand’s prominent reputation. Since StarCraft II is more of an individual game than team-based, a team’s organization is viewed differently than being one whole entity with the players they support. They act more as a garage, a parking lot, for all these players to which they are sent out for specific events, competitions or marketing ideas (depending on cost, ability to succeed or reach of their iconic community status). Perhaps that’s a cynical perception, but what we see when we look at the major teams are roles for their players. Some are for marketing, for their image or noteworthiness and some are for their ability to achieve and stay on top of the competition’s skill-level. When you compare these foreigner and E-Sports Federation teams, to that of other E-Sports teams, you notice a different dynamic in terms of rosters. For cooperative games, the relationships amongst players must be positive. In Dota or Counter-Strike, if the team atmosphere is not positive, the team suffers. In addition, these teams cannot be separated for specific events or competitions, they must all be accounted for and depend on one another for success. StarCraft II differs in that their rosters can have neutral stances for one another. Because StarCraft II is much more secluded for players on a team (their independent success bolsters a team’s brand name collectively while cooperative team-games collectively succeed), this leads to a lack of unification of a StarCraft II player’s fan-following with a team’s brand. 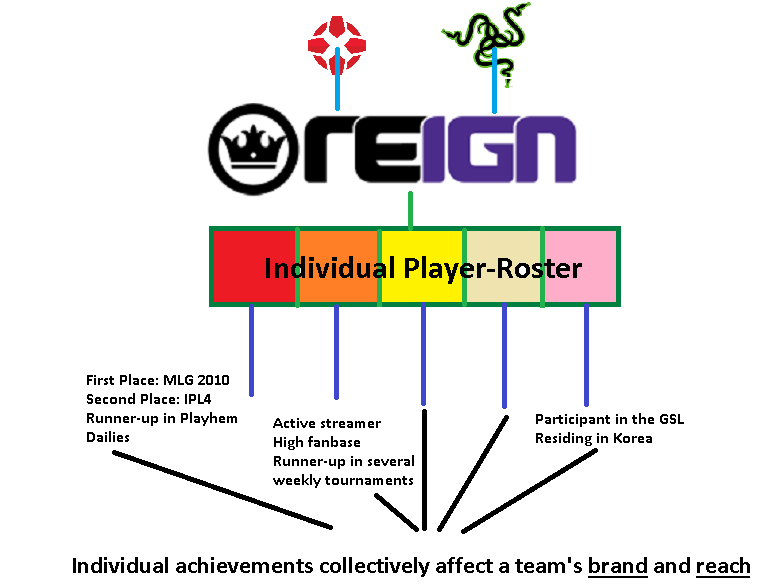 A roster can be more diverse to fill multiple areas a team organization needs to take advantage of to popularize and create reputation (marketing, expos, competitions, prestigious tournaments, etc.). This diversification can mean more rapid roster changes and less connection between player name and team’s brand. Millenium is among the most financially comfortable teams in the scene. They’ve housed some of the best and veteran players of StarCraft II including ToD, HuK, Adelscott and Stephano. This French team has a lot of games, a lot of outlets to produce content and a very strong national hold in their country. Millenium has come and gone with small media hits towards their StarCraft fans during the year 2011: Team house, Feast personally mentored by Grubby, ForGG and Dragon pick-ups, Stephano’s achievements, but they never went far enough with it. All these announcements are great introductions of the interesting stuff Millenium can do, but why haven’t they followed through with it? Why haven’t they done more with showcasing Dragon’s entertaining qualities, ForGG’s remarkable skill and ability, etc. Athough their focus is mainly for the French fans, their players are reaching beyond that of France and even Europe (especially with pick-ups such as ex-Complexity Academy pro gamer: Goswer). The player name far outreaches that of Millenium’s within StarCraft II. The opposite can be seen for Team Evil Geniuses in terms of production. Team EG has reinvented themselves time and time again with blogs (even before this, EG used to feature blogs written by Cassandra, Grubby’s wife during the WC3 era), Big Foot Networks Pro Tip videos, branding BarCrafts (BarCraft Montreal, ONOG), commercials, tournaments (EG Master’s Cup Series), OneMoreGame.tv, Kingston commercials, SteelSeries promotions, Trivia videos (Fanmail & Unburrowed), etc. Millenium needs consistency and continued reinvention of their brand. They tried a few back in 2010 with blogs when they had HuK, they showed off their team-house, some Millenium tournament invitationals and more. But there was no connection to the community and it wasn’t nearly as polished or aggressively pushed as Evil Geniuses. Millenium had one of the best foreigners around for months, but did so little to present him as a Millenium player and thus no fan-to-team dedication, only fan-to-player [Stephano] loyalty. Nonetheless, I would situate Millenium as a lot more active (considering they’re doing more non-E-Sport titles) than some other teams, especially those who are underachieving. Quantic Gaming (now defunct) was amongst those underachieving, but presented with both their downfall and greatest opportunity. Originally, Quantic had a North-American squad that was shaded due to the performance of their Swedish duo: SaSe & NaNiwa. Since NaNiwa departure, Quantic Gaming’s perception from the community transitioned to being a premier North-American team with their pick-up of Vile Gaming and two new investors. Quantic kept their original roster without little to no cuts, a rare dedication that some teams don’t possess. However they did little to take advantage of their longstanding relationship with these players and furthermore, doubling their roster only increased expenses with little to no future achievements or advertising for these players. To reiterate my original point(s): A team and the players they sponsor are not perceived as one of the same in StarCraft II. That hurts and that’s definitely something that could be better approached by the majority of the teams. This, in turn, should also help bolster team fan-following numbers as well as player numbers when presenting to current or new sponsors. Differencing your players in new and unique ways helps remove the stigma of an overabundant roster and creates variety in a large squad of talented players. The reality of all this is that traditional systems that create roles for players are only there to help create a working form of a team within a limited budget. So while piggy-backing off sponsors and relying on major tournament organizations to send their players around the world is working so far (more or less), it isn’t an ideal long-term way to live. This is going to sound redundant, but teams need to find a way to survive on their own two feet. Though as we mentioned earlier, the form of media they can produce content on with such a limited budget isn’t really going to be enough. If it somehow manages to pay out, it won’t work for everyone equally. This is just another long laundry list that more money and a bigger audience could potentially help cross off. But at the same time, a lot of teams are not taking advantage of their players to better create an association of names between both the player and the teams’ brand.